Lucy. Aust Ch Niedleich In Vogue. What a showgirl Lucy was. 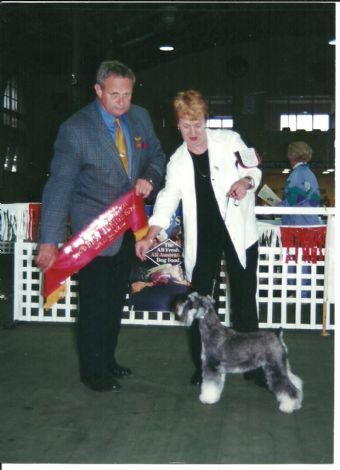 At her very first show, she won Baby Puppy in Show, SCOV Speciality 2000. From there on she loved the showring. Lucy was and still is, a very full on Mini,who always did it her way. Judge Mr. G. Missen Vic. Judge Mr. R. Saldana Mexico. Ch. Niedleich Lady in Red. 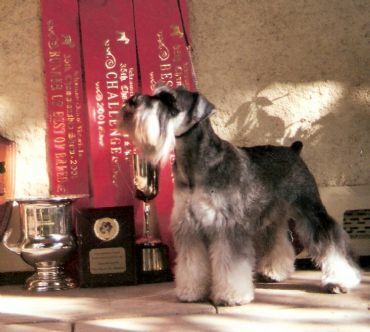 Lucy has been a major influence in my breeding programme, producing quality show puppies, with outstanding temperaments,correct movement, and most of all type. to her offspring, and keeps them all in line.